The Royal Ontario Museum in Toronto is set to remove one or both of the carcasses of blue whales that washed up in western Newfoundland, Fisheries and Oceans Canada officials announced Thursday. Carcasses washed ashore in Trout River and Rocky Harbour, N.L. ROM scientists will travel to Rocky Harbour and Trout River on the northwest coast of Newfoundland soon to preserve the whales' skeletons and collect tissue samples from the massive marine mammals. While the whales' ice-locked death was unfortunate — an estimated five per cent of the endangered species population was lost in the event, according to the ROM — it also marks an opportunity for the scientific community. Scientists from the Royal Ontario Museum in downtown Toronto are set to remove one or both of the blue whale carcasses so the mammals' skeletons can be preserved. (Michelle Siu/Canadian Press)​"This is an important opportunity to further our understanding of these magnificent animals and provide an invaluable resource for Canadian science and education now and in the future," said Mark D. Engstrom, the ROM's deputy director of collections and research. Federal Fisheries Minister Gail Shea said the government is happy to partner with the ROM to preserve the skeletons. Shea said Canadians will benefit from the chance to study the whales up close. 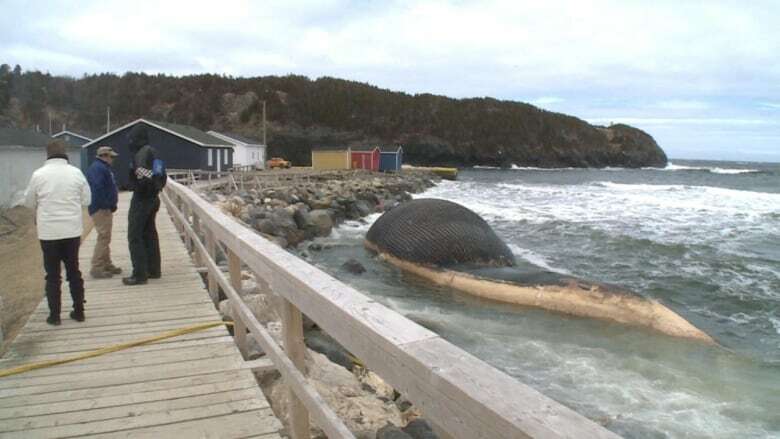 Residents of Rocky Harbour and Trout River, however, still have concerns the whales may explode due to the gases trapped inside their carcasses. The dead blue whale in Trout River has been expanding since it washed ashore several weeks ago. Many have also expressed concern with the smell from the rotting whales. But Jenny Parsons, who operates the Seaside Restaurant in Trout River, said some people in town will be sad to see the whale go. 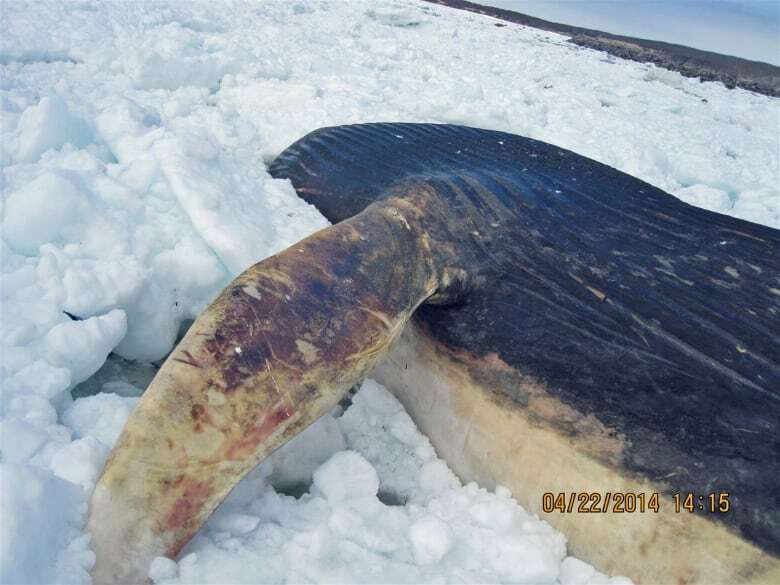 This blue whale carcass was found near Bonne Bay last month. Department of Fisheries and Oceans officials have said they could determine whether the whale was part of the same group of dead whales spotted near Bay St. George earlier this year by taking DNA samples. (Photo courtesy DFO)"I think now people are beginning to realize that how often does a blue whale wash up on your beach? It's pretty awesome to have it there," said Parsons. Parsons said she would like to see a blue whale pavilion in western Newfoundland, something she thinks would attract tourists from far and wide. Journalists have been calling all day from around the world, she told CBC Radio's As It Happens, many curious about the possibility of a whale explosion. Ideally, Parsons said, DFO would move the whale out of the community while it decomposes but then return it. That makes more sense than sending it to Toronto, she said. "It's not going to be no small feat to move this to Ontario," Parsons said. The other blue whale carcass has been grounded in Rocky Harbour, located in GrosMorne National Park. People have been visiting Trout River to catch a sight of the blue whale carcass that washed ashore last month. (CBC)Mayor Walter Nicolle said that for the first week or so, the whale was a real tourist attraction. "But right now the whale is starting to smell a bit, so the local people are getting concerned about it," he told CBC News. At first, Nicolle was told the 20-metre whale was the town's problem. So town officials proceeded to secure a permit to remove the carcass, though Nicolle admitted they are not sure just how to do that. "I'm a little bit surprised they're going to take it away already." The loss of nine blue whales has attracted international and national scientific interest. Sample tissue of one whale has been taken to gather scientific data. 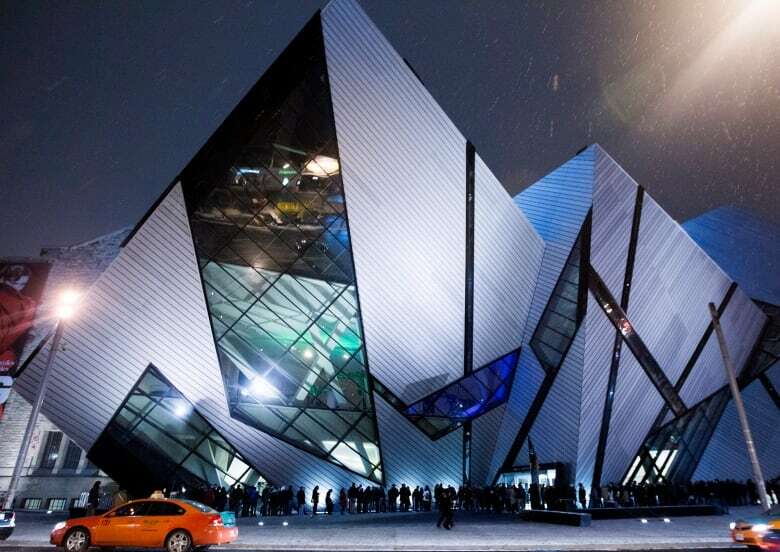 In 2010, the Canadian Museum of Nature in Ottawa unveiled a blue whale skeleton. The museum acquired the remains of the female whale in 1975 after it beached itself in Newfoundland.